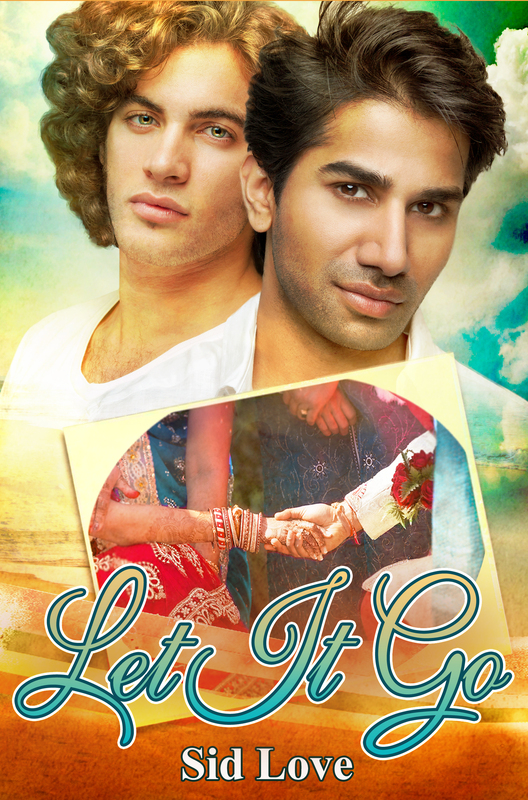 Guest Post: Sid Love talks about Let It Go | Because two men are better than one! Today we are lucky to be joined by Sid Love to talk about his new release, Let It Go. This book is set in Goa, India. The two MCs meet at a beach called Calangute. Yes, that is a real place! There are hardly any M/M books out there with an Indian setting. My main characters are named Damon and Virat. While planning out this story, I was watching “Vampire Diaries” and I had to name a character after Damon Salvator! I always set a goal of a total word count for a story before I start it and always end up writing double of what I had planned initially. Ha! Well, Let it Go was supposed to be a shorty with about 12000 to 15000 words. And look at it now! It’s a 24000 words novella! Every chapter in this book has been titled differently. The first chapter Spicy Moments has kind of a double meaning to it. 😉 My personal favorites, however, are He loves me, he loves me not… and A Memory to Last Forever. Well, Idina is none other than the most talented singer Idina Menzel who has given voice to Elsa in the movie Frozen! The song “Let it Go” has not just inspired my title, but my book too! Goa isn’t supposed to be one of the stops Damon O’Neil was taking while in India. It becomes a mere substitution to his big plans of visiting his sister in Paris for holidays. Because his boss, Mr. Boyles, ruins it all for him. He arranges an urgent visit for Damon to tend to all the system upgrades they needed for the company’s offshore units and Damon is too good to say no. When a situation arises in a restaurant, a handsome Indian guy named Virat comes to his rescue. Damon is instantly smitten with his looks and especially, with his cute smile. Soon, he realizes that Virat is very much out of his league when the guy introduces him to his new wife. SID LOVE grew up in one of busiest cities in the world, Mumbai, listening to the excerpts of Indian epics from his father every night. While it served as an inspiration back in time, he has always had an ambitious mind. In 2007, when he had just turned sixteen, he decided that he would make his lifelong dream come true—to become a well-known, respected author someday. or simply e-mail him at sidlovethewriter@live.in.